Over the past 40 years, my research has emphasized how limiting resources affect animals. I have learned that the energy budgets of fishers (Pekania pennanti) are interdependent with their foraging choices and their sexual dimorphism in body size. Fluctuations in small mammal populations cause weasel populations never to have stable age distributions or survival schedules, affect sexual dimorphism and mating patterns of weasels (Mustela spp.) significantly, and allow the coexistence of more than one weasel species. Productivity of food explains whether black bears (Ursus americanus) defend territories or tolerate home range overlap and changes in productivity of food can affect intrasexual territoriality in a range of mustelid species. Tunnel systems, and not food, appear to be the limiting resource for woodland voles (Microtus pinetorum) and the low availability of tunnel systems delays dispersal in young voles, leading to cooperative breeding. In the mean time I have held a frightened fisher by the tail, have had a weasel urinate on my head, have watched a mother black bear nurse her dubs in their den, and have spent too many hours in from of a computer monitor. In the end, I still do not know what I want to be when I grow up. During the past 2 decades, my field research has emphasized animals’ home ranges and spacing: how animals space themselves on a landscape, depending on the home ranges of other individuals and on the distributions of pertinent resources. I now envision animals living in a fitness landscape where habitat value at each place is the potential contribution of that place to an animal’s fitness. 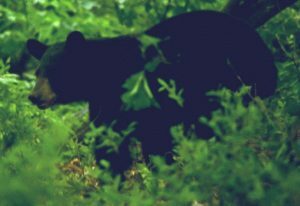 From 1981 through the early 2000s, my field research was on black bears. Over that time, my graduate students and I developed approaches to estimating fitness landscapes. Our approach and results can be applied widely and generalized to other forest animals. In 2009 I began multifaceted research aimed at applying these approaches to fishers (an instance of “back to the future”). 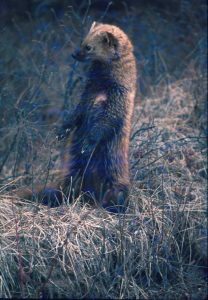 The fisher research includes the reintroduction of fishers to the northern Sierra Nevada in northern California. I still do not know what a home range is but am convinced that animals continue to give us us clues. Studying my own home ranges has provides me with important insights. I continue to study weasels and their kin through cooperative research with Dr Carolyn King at Waikato University in Hamilton, New Zealand, and through new modeling work and analyses. My research has led to diverse applications through state wildlife agencies, the USDA Forest Service, the US Fish & Wildlife Service, and the National Park Service. I support the use of well-trained dogs in research. Students in the graduate program at NCSU have demonstrated their potential for graduate work through strong backgrounds in biological and other sciences from their undergraduate or MS programs and through good GRE scores. I have a personal preference (not hard and fast) for students with broad backgrounds including interest in the humanities, languages, and math beyond calculus. Since becoming Professor Emeritus, I do not spend sufficient time on campus to give MS students the advising they deserve and, therefore, consider PhD students only. Behavioral Ecology of Mammals and Wildlife Management, field course taught occasional summers at the Wilderness Field Station of Coe College (formerly administrated by the Associated Colleges of the Midwest). 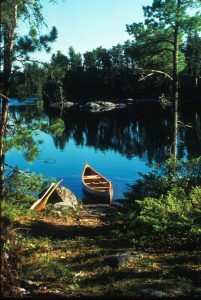 This field station takes advantage of the adjacent Boundary Waters Canoe Area Wilderness for biology and other courses relevant to the wilderness setting. 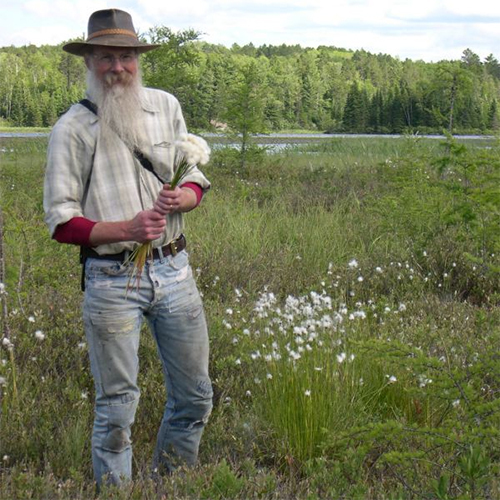 Other recent courses include Wetlands Ecology, Conservation Biology, Boreal Forests, History of the Wilderness Movement, and Northwoods Research Experience. 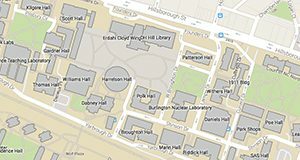 Advanced Topics in the Study of Mammals (ZO 784); every other Spring Semester (Recent offerings have been: Darwin Revisited [reading several of Darwin’s books], Behavioral Ecology of Mammals, Predation, and The Marsupial/Placental Dichotomy). 2012. Carnivore Ecology and Conservation: A Handbook of Techniques. Oxford University Press, London. (Edited by L. Boitani & R. A. Powell). 2012. Diverse perspectives on mammal home ranges. Editor for Special Feature in the Journal of Mammalogy 93: 887-958. 2010. Challenges and opportunities of using GPS-based location date in animal ecology. Special Feature in Transactions of the Royal Society B 365: 2155-2301. (Edited by Cagnacci, F., L. Boitani, R. A. Powell & M. S. Boyce). 2007. Natural History of Weasels and Stoats: Ecology, Behavior and Management. Oxford University Press, New York. (C. M. King & R. A. Powell). 1997. Ecology and Behaviour of North American Black Bears: Home Ranges, Habitat and Social Organization. Chapman & Hall, London. (R. A. Powell, J. W. Zimmerman, & D. E. Seaman). 1994. Martens, Sables and Fishers: Biology and Conservation. (Buskirk, S. W., A. S. Harestad, M. G. Raphael & R. A. Powell, eds). Cornell University Press, Ithaca, New York. 1993. The Fisher: Life History, Ecology and Behavior, 2nd edition. University of Minnesota Press. Minneapolis. 2013. The effect of illumination and time of day on movements of bobcats (Lynx rufus. PLoS ONE 8(7): e69213. doi:10.1371/journal.pone.0069213 (Rockhill, A. P., C. S. DePerno & R. A. Powell). 2013. Influence of environmental conditions and facility on faecal glucocorticoid concentrations in captive pygmy rabbits (Brachylagus idahoensis). Animal Welfare 22: 357-368. (Scarlata, C. D., B. A. Elias, J. R. Godwin, R. A. Powell, D. Shepherdson, L. A. Shipley & J. L. Brown). 2012. Diverse perspectives on mammal home ranges or A home range is more than location densities. Journal of Mammalogy 93: 887-889. 2012. Foraging optimally for a home ranges. Journal of Mammalogy 93: 917-928. (Mitchell, M. S. & R. A Powell). 2012. What is a home range? Journal of Mammalogy 93: 948-958. (Powell, R. A. & M. S. Mitchell). 2012. Carnivore translocations and conservation: Insights from population models and field data for fishers (Martes pennanti). PLoS ONE: http://dx.plos.org/10.1371/journal.pone.0032726. (Lewis, J. C., R. A. Powell & W. J. Zielinski). 2012. Humane and efficient capture methods for carnivores. Pp 70-129. In Boitani, L. & R. A. Powell (Editors). Ecology and Conservation of Carnivores: A Handbook of Techniques. Oxford University Press, London. (Proulx, G., M. R. L. Cattett & R. A. Powell). 2012. Movements, home ranges, activity, and dispersal. Pp 188-217. In Boitani, L. & R. A. Powell (Editors). Ecology and Conservation of Carnivores: A Handbook of Techniques. Oxford University Press, London. 2012. Evaluating translocations of martens, sables, and fishers: Testing model predictions with field data. Pp 93-137. In K. B. Aubry, W. J. Zielinski, M. G. Raphael, G. Proulx, and S. W. Buskirk (Editors). Biology and Conservation of martens, sables, and fishers: A new synthesis. Cornell University Press, Ithaca, New York. (Powell, R. A., J. C. Lewis, B. G. Slough, S. M. Brainerd, N. R. Jordan, A. V. Abramov, V. Monakhov, P. A. Zollner & T. Murakami). 2011. Black-footed ferrets and Siberian polecats as ecological surrogates and ecological equivalents. Journal of Mammalogy 92: 721-731 (Biggens, D. E., B. J. Miller, L. R. Hanebury & R. A. Powell). 2011. Mortality of Siberian polecats and black-footed ferrets released onto prairie dog colonies. Journal of Mammalogy 92: 721-731. (Biggens, D. E., B. J. Miller, L. R. Hanebury & R. A. Powell). 2011. A comparison of two field chemical immobilization techniques for bobcats (Lynx rufus. Journal of Zoo and Wildlife Medicine 42: 580-585. (Rockhill, A. P., S. K. Chinnadurai, R. A. Powell & C. S. DePerno). 2010. Animal ecology meets GPS-based radiotelemetry: A perfect storm of opportunities and challenges: Introduction. Philosophical Transactions of the Royal Society B 365: 2157-2162. (Cagnacci, F., L. Boitani, R. A. Powell & M. S. Boyce). 2010. The home-range concept: Are traditional estimators relevant with modern telemetry technology? Philosophical Transactions of the Royal Society B 365: 2221-2231. (Kie, J. G., J. Matthiopoulos, J. Fieberg, R. A. Powell, F. Cagnacci, M. S. Mitchell, M. Basille & B Van Moorter). 2005. Evaluating welfare of black bears (Ursus americanus) captured in foot snares and handled in winter dens. Journal of Mammalogy 86: 1171-1177. 2004. Home ranges, cognitive maps, habitat models and fitness landscapes for Martes. Pp. 135-146. In: Harrison, D J, A K Fuller & B J Hearn (editors). Martes in human altered landscapes. Columbia University Press, New York. 2004. A mechanistic home range model for optimal use of spatially distributed resouces. Ecological Modelling 177: 209-232. (Mitchell, M S & R A Powell). 2003. Linking fitness landscapes with the behavior and distribution of animals. Pp 93-123. In: Bissonette, J A & I Storch (editors). Landscape ecology and resource management: Linking theory with practice. Island Press. (Mitchell, M S & R A Powell). 2003. Trapping and marking terrestrial mammals for research: Integrating ethics, performance criteria, techniques, and common sense. Institute of Laboratory Animal Research Journal 44: 259-276. (Powell, R A & G Proulx). 2003. Reproductive success of male black bears. Canadian Journal of Zoology 81: 1257-1268. (Kovach, A I & R A Powell). 2002. Test of a habitat suitability index for black bears in the Southern Appalachians. Wildlife Society Bulletin. 30: 794-808. (Mitchell, M S, J W Zimmerman & R A Powell). 2001. Who limits whom: Predators or prey? Endangered Species Update. 18: 98-102.